Use Coupon Code at Checkout! Limited Time Only! 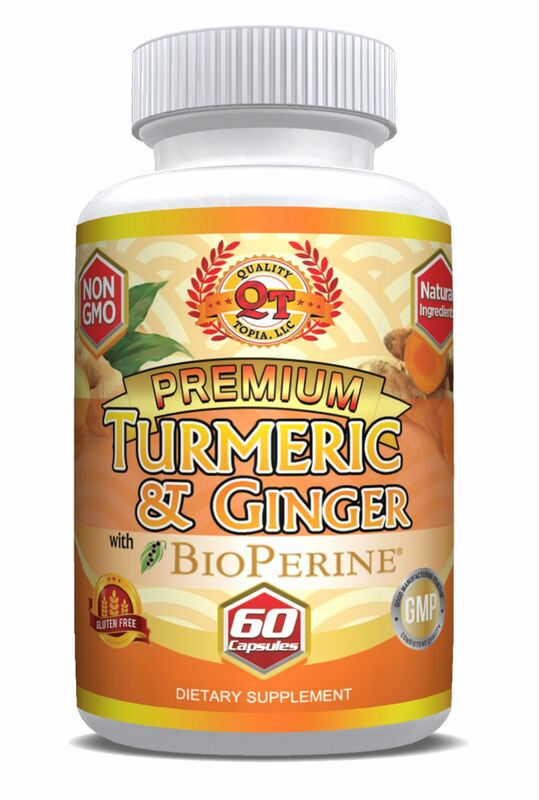 ✔ 60 TURMERIC & GINGER CAPSULES - 30 DAYS SUPPLY - Your purchase includes 1 bottle with 60 capsules, daily intake is twice per day. After 30 days you will feel a difference in your body and overall health, otherwise just use our Money Back Guarantee you get a FULL REFUND. No questions asked. ✔ ANTI-INFLAMMATORY & FULL OF ANTIOXIDANTS - Improve your lifestyle, digestion and your overall health with these small powerful pills. ✔ MADE OF THE FINEST INGREDIENTS ONLY - We are proud to announce that all our ingredients are Gluten Free & Non-GMO formula manufactured in NSF GMP registered 100% an FDA inspected facility. ✔ EASY TO SWALLOW POWERFUL BENEFITS - Turmeric and ginger are extremely powerful and effective mix together, they boost your immune system, eliminates bad bacteria from your gut and intestines. It also helps detox toxins, reduces joint pain, stress, anti-aging and much more. ✔ 60 DAYS MONEY BACK GUARANTEE - We got you covered! Your purchase includes a hassle-free 100% money back guarantee within 60 days. No questions asked.